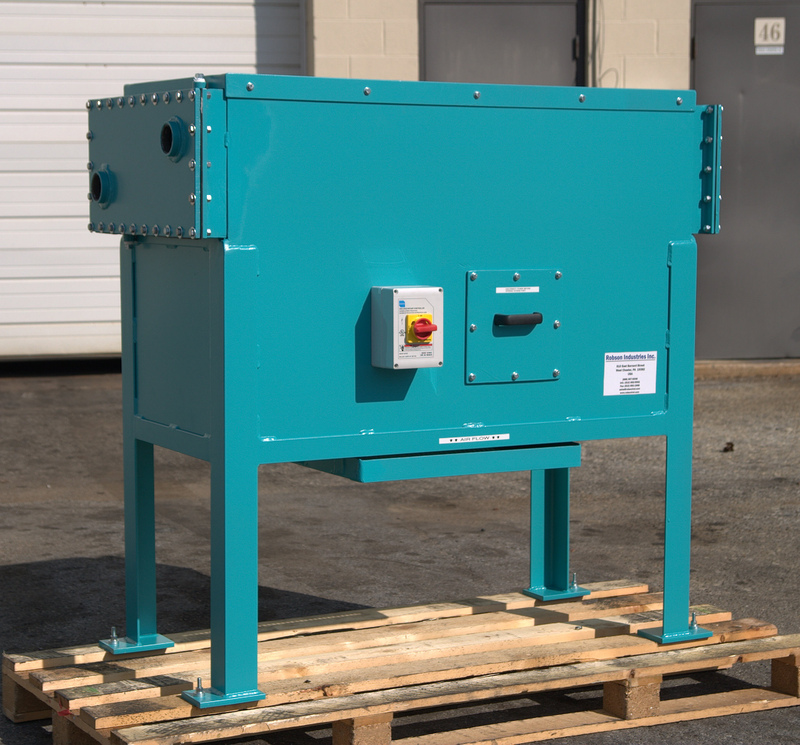 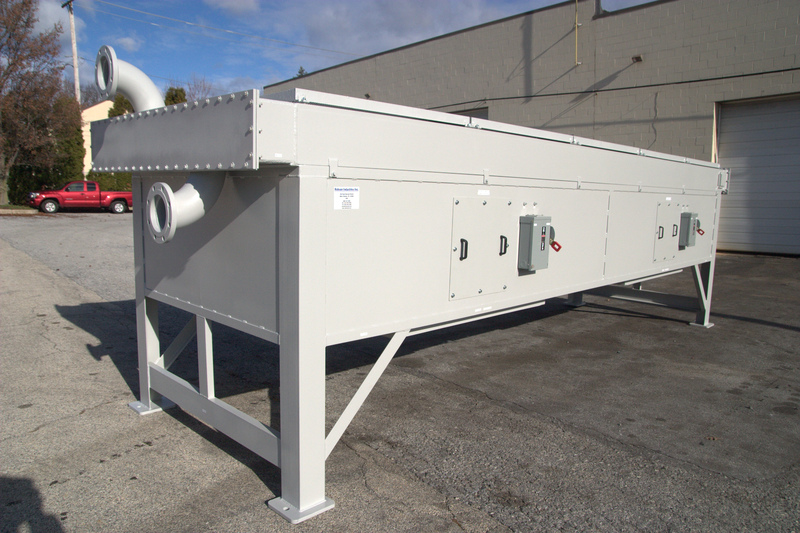 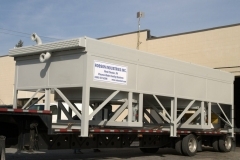 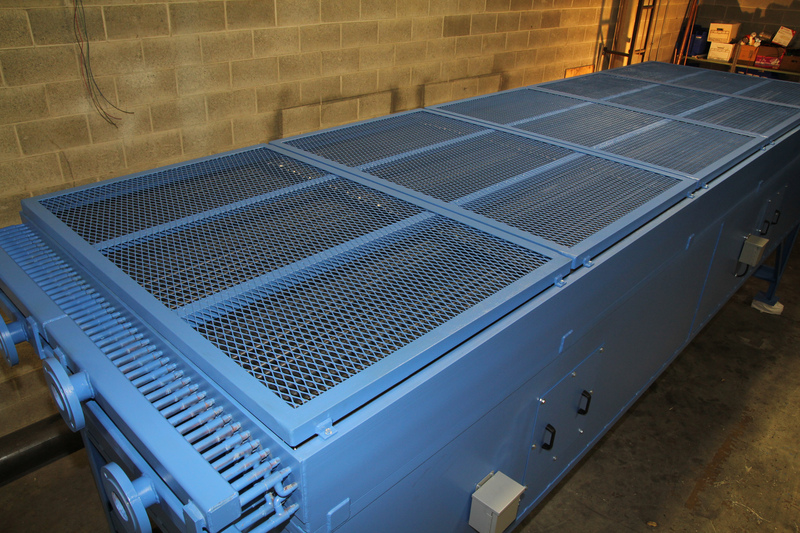 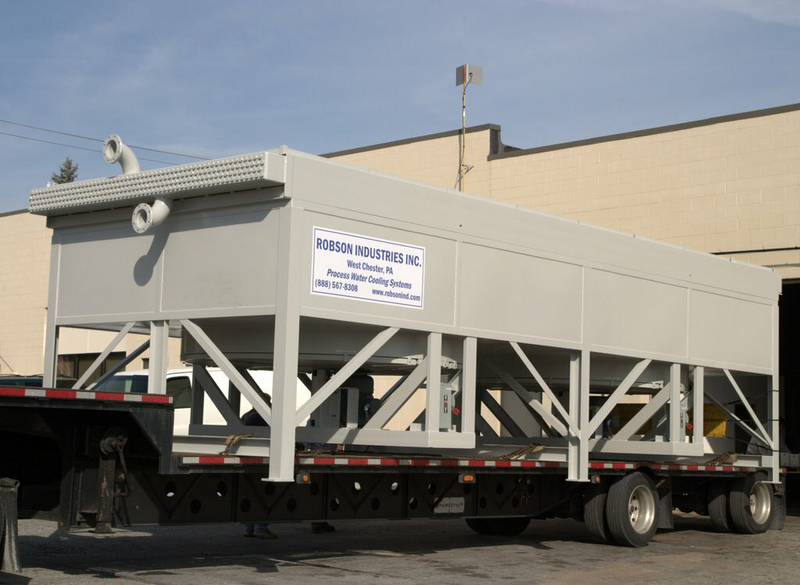 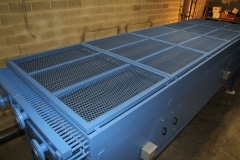 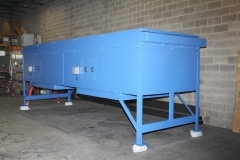 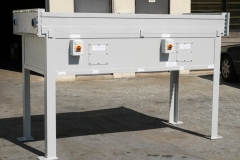 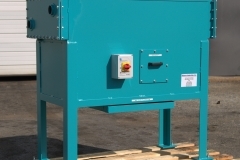 Air-Cooled Heat Exchanger Systems | Robson Industries Inc.
A Robson Industries Inc. Air-Cooled Heat Exchanger features rugged industrial construction. It can be used to cool a process fluid to with 10°F of the ambient temperature. 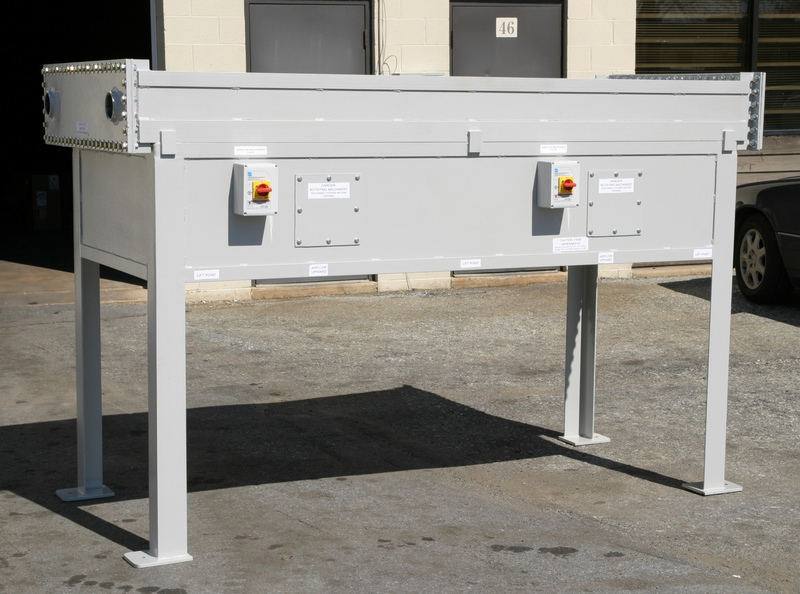 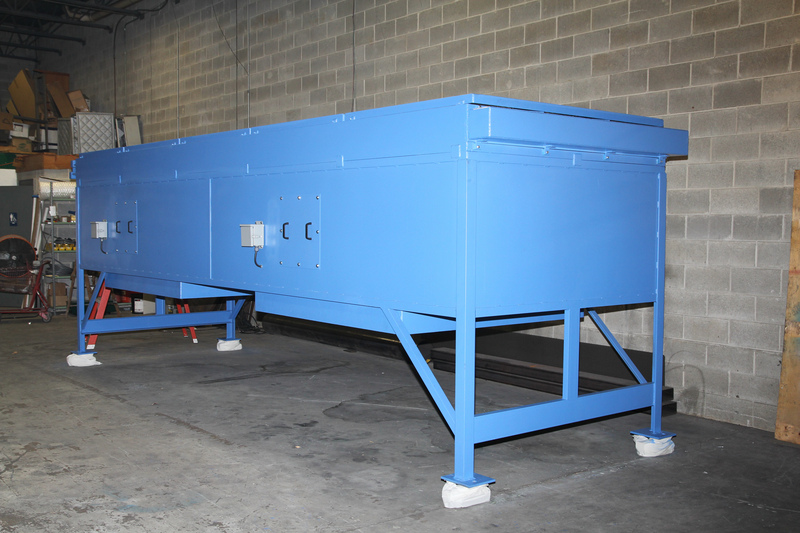 Our Industrial Series coolers feature epoxy coated structural steel or stainless steel construction, and stainless steel tubes with aluminum fins. 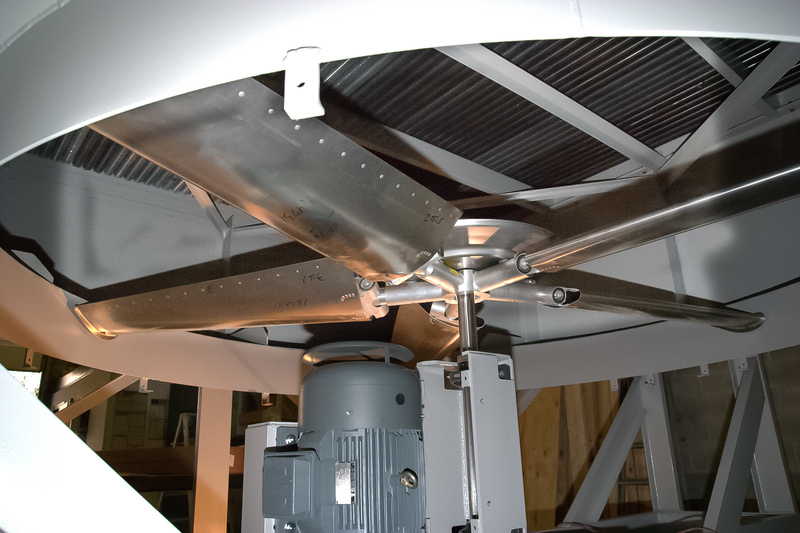 We take special care in the design of fan systems, utilizing large diameter low speed fans to quietly move the most air possible. 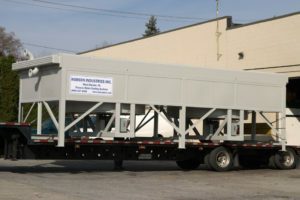 Different designs are available depending on the application. 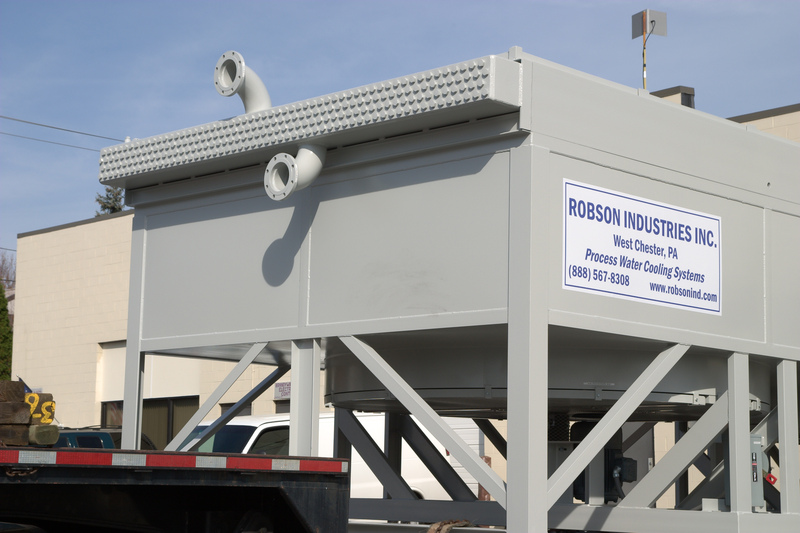 For dirty fluids, removable headers or tube plugs allow cleaning of the tubes to ensure proper performance. 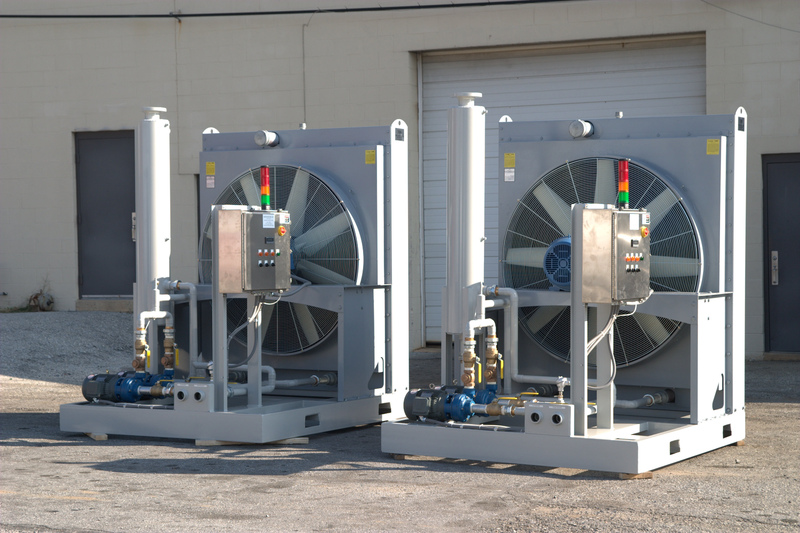 Sophisticated electrical controls can vary the fan speeds for a precise control of a process temperature, but in most cases, simply staggering the fans on and off will give acceptable results.